The Yonex 4836 Team 6 racket bag keeps it simple with 2 spacious main compartments with a capacity for up to 6 rackets, as well as a side zipped pocket for quick access to accessories and valuables. It offers plenty of space for your apparel and equipment and has been made from polyester for increased durability and a lightweight feel. Carrying the bag to and from the courts is easy and comfortable thanks to a padded, adjustable shoulder strap and a carry handle. Good looking bag and does what it needs to do. 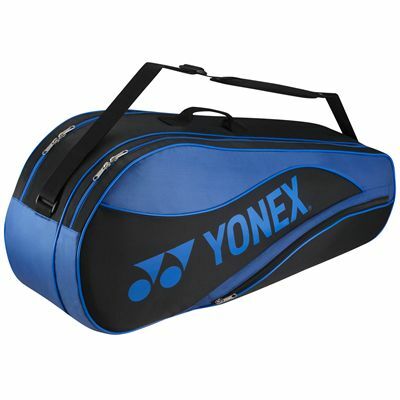 I use this for tennis where the smaller of the compartments takes 2 rackets and the other for shoes, towels etc. 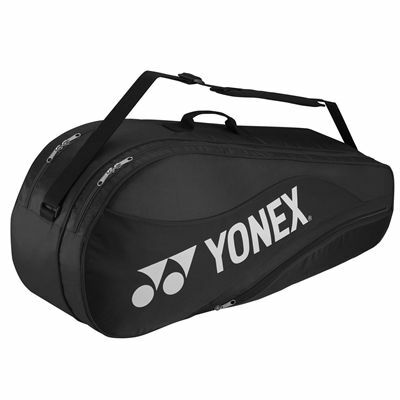 for submitting product review about Yonex 4836 Team 6 Racket Bag.